A boutique office building strategically located next to PJ Hilton and the upcoming development of PJ Sentral. It is within walking distance of two LRT Stations and a major bus stop. It is the ultimate office destination in the PJ central business district area. Quattro West successfully underwent a major refurbishment exercise in 2010. The building is now a boutique corporate office with great frontage to the Federal Highway. 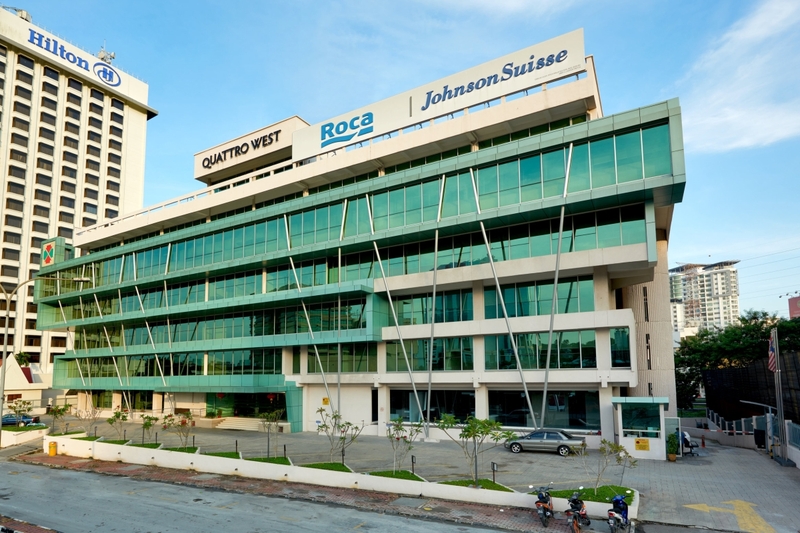 Quattro West houses international tenants such as Roca Malaysia Sdn Bhd, Jeunesse Global and Antah Insurance Brokers Sdn Bhd. Accessible from Kuala Lumpur City Centre and from Subang Jaya and Shah Alam via the Federal Highway, or alternatively Lebuhraya Damansara-Puchong and Lebuhraya SPRINT. 2 mins walk to Rapid Bus Stop; 4 mins walk to Asia Jaya Bus stop and Hilton bus stop. Walking distance to two LRT Stations, i.e. Taman Jaya LRT Station (Amcorp Mall) and Asia Jaya LRT Station. Ample F&B outlets, ranging from restaurants to coffee shops and food stalls in the vicinity e.g. Restoran Syed, Restoran Sederhana, KFC, Zone Eight White Coffee, Okay Hawker, Janova & Rokaro. Walking distance to PJ Hilton (next door), Sheraton Petaling Jaya and Wisma Thrifty.